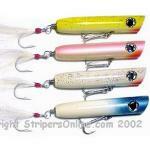 St Croix Legend (first rod) has "heavy use" any gouges or major scrapes dings? It's hard to tell from the pictures. No gouges or major scrapes. Just weathered the rod still performs fine Bruce. I will do 40.00 shipped on the Ugly Stik.